Amazing news for all the cricket lovers living in UAE. Chris Charles Gayle, the West Indian hard hitting batsman, known for his big sixes has finally arrived in Dubai. 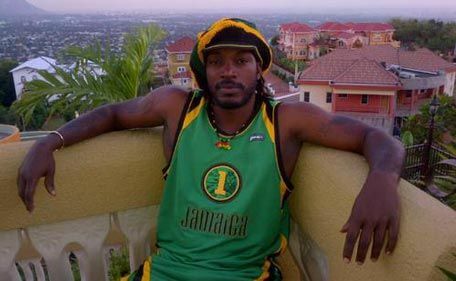 Chris, famous for his hard hitting batting in the world of cricket has earned a name ‘Gayle Storm’ from his fans. He has came to meet his fans in Dubai. The 34-year-old arrived here on 27 September and was loving the view of the city from his balcony. He shared a picture on Instagram and captioned it: “Morning Dubai from my balcony”. The cricket superstar has been traveling around the world as part of his tour having already blown through Europe. He tweeted earlier this week: “This is a long trip : London-Afghanistan-Iraq-Syria-Dubai…” Eager fans of the West Indies star who missed out on seeing him on Wednesday will have one more chance to rub shoulders with their cricketing hero. Gayle will be at the SPARTAN Cricket Launch at Sun and Sand Sports, Dubai Festival City Mall. Fans will get the chance to meet the cricketer on Thursday, September 26 in front of Sun and Sand Sports from 6pm – 8pm.